The Dominique collection is a must with its classic lines. But if you fancy something more exotic, no problem: you can always go for more striking colours. 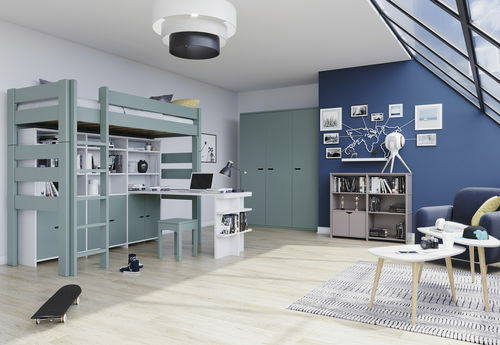 If you are into personalisation to suit your requirements and desires, the Dominique collection is available in numerous versions and accessories: single beds, bunk beds, high sleeper beds, triple sleeper beds, desks, bookshelves, wardrobes, sliding headboard, ladder guard... In order to match your requirements, Dominique beds are available in 4 standard sizes and made to measure.